Following their shock discovery, Noah and Rebekah reluctantly return to the lower levels of The Ark. Isolated and apart once more, Noah struggles to remember what happened at the surface and suspects Mother has altered his memory. But Noah’s attempts to unite the workers to rebel are halted when Mother begins The Purge. Her cruel, relentless trials bring Noah to breaking point as he fights to survive when faced by his worst fears. Forced to accept Mother’s terms after a month in Re-Education, Noah finally learns the truth about his people’s past that leave him determined to defeat her once and for all. 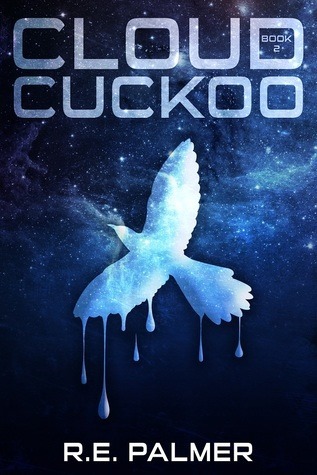 Cloud Cuckoo by R. E. Palmer was a great addition to the Never Dawn trilogy. Often after a good book, subsequent books in the series don’t always live up to the quality or the hype of the first book, but in this case, that definitely wasn’t true. My daughter and I read this book together and often found ourselves reading for several hours at a time, often into the wee hours of the morning. We were sucked into Noah’s world. Technically speaking, much like the first book, I was given a copy that had quite a few typos/errors in it, but again, these didn’t bother me. None of the errors were jarring or subtracted from the story in any way. The writing was clean, concise, and easy to follow, and the story moved at a good pace. It was constructed in such a way that by the end of every chapter, I couldn’t keep myself from continuing on into the next chapter. I was drawn in. Much like the previous book, the characters were a delight and the world building was expansive and well constructed. One of my favorite parts of this particular book, however, was the change in scenery for Noah. We got to see new parts of the ship. We got to spend more time with characters we hadn’t previously gotten to. There were the same old mysteries, but also a lot of new ones as Noah found out more and more about his world and the people in it. Overall, I loved this book. I love this series, and my daughter would easily say the same. R.E. Palmer has become one of my new favorite authors. If you enjoy YA or dystopian stories, I would highly recommend you pick up this series and give it a try. You will not regret it. I am so excited to see what the third book has in store for us when it’s released!